Radiant floor heating is a wonderful option for heating your home. Though it has been rather slow to gain widespread use in the U.S., radiant heating is becoming more and more popular as it is brought to the attention of homeowners. Since it isn’t as well-known as other, more traditional systems like furnaces, a lot of people remain ignorant of how radiant heating actually works. Let us explain the way radiant floor heating is installed, how it works, and why you should care. The installation of radiant floor heating begins with inserting water pipes into the subfloor of each room that needs heat. This network of water pipes is then connected to a central boiler. Occasionally, the pipes in each room will terminate in terminals, like iron radiators or baseboard heaters. The big consideration when installing a radiant heating system is what kind of flooring would work best with it. Generally, stone, concrete, or ceramic tile is the most compatible with radiant heating systems. Hardwood and vinyl floors can work as well, as long as they are properly conditioned for it. When the heat is turned on, the boiler heats and distributes water throughout the house. As the water flows through the pipe network, the heat radiates through the pipes and out into the room. The heat is transmitted between solid objects, often beginning with the floor and spreading upwards into furniture and other objects. Radiant floor heating has a great many advantages, compared to forced air heating systems. Water is a much better thermal conductor than air is. A room heated by a water-based system, like radiant floor heating, heats up faster and stays warm longer after the system turns off. Radiant floor heating also avoids one of the biggest pitfalls of forced air systems: duct leaks. The U.S. Department of Energy estimates that forced air systems lose as much as 30% of their heat on average to duct leaks. Since radiant systems don’t use ducts, they deliver almost all of their heat to the desired destination. If you’d like to install a radiant floor heating system, call BZ Dependable Plumbing & Heating, Inc. We provide heating services in Westwood. If you’ve experienced clogs in your plumbing system, you may have heard the term “hydro jetting” mentioned as a possible solution. The process is highly effective, though it takes professional training and equipment to properly work. Here in Westwood, hydro jetting can be applied to a wide variety of clogs and back-ups. But how does hydro jetting work? And more importantly, why is it preferable to store-bought cleansers and similar solutions? The process entails a high-pressure hose, fitted to your plumbing, which sends a blast of water down the pipe. The water is sent down in pulses, which thoroughly scours the pipe and breaks up any clogs or blockages that it may encounter. The process requires training because of the extreme high pressure of the water. It has to be directed properly and the hose must be fitted into the pipe firmly regardless of its size or composition. Otherwise, the water could damage your kitchen or even cause you harm. Having said that, a trained plumber can operate the system safely, and its effectiveness cannot be denied. Hydro jetting can scour even the most stubborn clog clean. Moreover, it cleans the entire pipe, not just the spot of the clog. That means it can halt future clogs before they begin, giving you a great deal of value for the money. Best of all, because it’s only water, it won’t cause any caustic reactions or burn your skin if you spill it. And the pipes themselves are left completely untouched: clean and ready to be used for whatever you need. Hydro jetting might not be the best solution for the most minor clogs, but if you’re experiencing a stubborn back-up and aren’t sure how best to deal with it, it can be a godsend. The experts at BZ Dependable Plumbing & Heating, Inc. can explain how hydro jetting works, and have considerable experience applying it to plumbing back-ups of all types. Here in Westwood, hydro jetting is a reliable solution that needs to be applied by people with the right skills. Give us a call today, and we’ll show you what skill and experience can do! Posted in Plumbing | Comments Off on HOW DOES HYDRO JETTING WORK? Drain cleaning is a job you’ll need to have done whenever you experience trouble with your drains (clogs, high water pressure) and on an annual basis to maintain the quality of your plumbing. However, you cannot do a thorough job of cleaning drains on your own: you must rely on the expertise and equipment that is only available from professional plumbers. To schedule drain cleaning in Westwood, NJ, call the skilled plumbing team at BZ Dependable Plumbing & Heating, Inc. We offer free estimates for your plumbing projects. Because commercial drain cleaners will not do the job: If you think that you can purchase a bottle of commercial drain cleaner from the store to handle this task, think again. These chemicals are highly acidic and toxic. They will eat away at the insides of drainpipes, leave behind toxic fumes, and burn skin and eyes. No professional plumber recommends using these products: they’ve seen the negative results too many times. Professionals have the right cleaning equipment: Some drain cleaning devices are available in stores, like manual drain augers. But professional plumbers have high-end equipment like hydro-jetters and motorized drain augers that are too expensive for commercial use and too complicated for anyone without proper training to handle. (Hydro-jetting is potentially dangerous without experience.) Plumbers also have access to cleaning agents like BioSmart that leave no toxic residue behind. Professionals have video inspection equipment: Drain cleaning involves more than just sending hydro-jetters, drain snakes, or non-acidic cleaning agents down a drain. Plumbers must know what sort of cleaning needs to be done and where it needs to be done. Thanks to video inspection equipment (miniaturized cameras mounted on thin fiber-optic cables), plumbers can examine drains from the inside and identify the work they need to do without disruptive methods to reach the pipes. We know it’s tempting to take short-cuts with drain cleaning. But in the long-run these short-cuts won’t save you time and money: you’ll still have dirty pipes, and you may have damaged pipes. Save yourself future headaches and expenses and go right to the professionals for your drain cleaning in Westwood, NJ. Call BZ Dependable Plumbing & Heating, Inc. today to set up an appointment for drain cleaning. Make us your annual choice for drain and plumbing maintenance. Leaks: the Great Enemy of All Plumbing. Even a minute leak, no larger than a pinhole, can cause immense damage to a home and waste a few hundred gallons of water a year. But these are not the worst aspects of leaks. The major problem leaks present is… finding them in the first place. When a pipe breaks and water floods out, or your sink faucet begins to annoyingly drip water, you’ll immediately know you have a problem and can call a plumber. But this only covers a few of the possible places where leaks can occur in your plumbing. The majority occur in spots out of sight: behind walls and under floorboards, beneath concrete slabs, hidden in unused rooms. The best way to find these disguised leaks is to hire a plumber skilled in leak detection and armed with the equipment to get the job done. For plumbers to handle the leak detection that will rescue your plumbing in Westwood, NJ (and maybe rescue your home as well! ), contact BZ Dependable Plumbing & Heating, Inc. There are some signs to watch for that can indicate hidden leaks plaguing your pipes. Discolored spots on walls, slight warping in floorboards (watch for doors that become harder to close because of shifting boards), odd bulges under carpets, the growth of mold or mildew, and unexplained spikes in your water bills… all of these can warn that leaking is happening somewhere in your pipes, probably in multiple places. Professional leak detection both locates where leaks are occurring and helps plumbers perform precision repairs that will cause the least amount of damage to your home’s building materials. Plumbers use sound equipment and pressure detection devices to pinpoint the leaks, then remove only enough construction material to reach the damaged pipe and seal the break. The plumbers won’t stop with the obvious repairs, however: they will examine your plumbing for other leaks that might have started and also deduce the reason the leaking started in the first place. One of the great dangers of leaks in plumbing is that they are insidious. A single leak will grow, and it will cause other leaks to start. If a rise in water pressure was responsible, then the leaking problem will rapidly increase. Even if a leak remains isolated, the development of standing water can destroy wood and drywall, and create an environment for the growth of mold and mildew that will speed up the rate of damage. And even the smallest leak will waste enough water to affect your utility bills. Call BZ Dependable Plumbing & Heating, Inc. for the help with your plumbing in Westwood, NJ that will locate and stop leaks and prevent future leaking problems. There are a lot of components which make up your plumbing system. It can be a challenge to keep all of these components in the best working condition possible, due largely to the fact that so many of these components are completely hidden from view. Just because they are out of sight, though, does not mean that you can afford to push these components out of mind. If you are not able to properly dispose of wastewater from your home via your drain and sewer system, you are going to run into some serious problems. Fortunately, the professional plumbers at BZ Dependable Plumbing & Heating Inc. are here to help. We have the tools and training that we need to ensure that your drains and sewer line in Westwood, NJ are in the great condition necessary to performance properly. One great asset is our video pipeline inspection services. By using specialized equipment, we can turn the very notion of “out of sight, out of mind” on its head. We can insert a flexible rod equipped with a video camera on its end into your piping system. This camera will feed back live video from within your pipes. This allows us to pinpoint any issues within those pipes so that we can resolve those issues promptly while eliminating any guesswork that would otherwise be necessary. Another outstanding service that we have to offer is BioSmart drain treatment. BioSmart drain treatment is a non-toxic and environmentally-friendly way to clear drains. The enzymes and bacteria it contains will break down organic waste and grease, clearing clogs quickly and safely. While a drain snake has its uses, there are some situations where removing the entirety of a clog or buildup cannot be accomplished with a snake alone. In such instances, call in a professional and explore other options. To learn more about the issues that can develop with your drains and sewer in Westwood, NJ over time, call the pros at BZ Dependable Plumbing & Heating Inc. We want to ensure that you are able to enjoy the best performance possible from your wastewater disposal systems.Contact us today to schedule service with well trained, well equipped plumber. Here in Westwood, NJ, there are many different types of heating systems that people use in their homes. This includes furnaces, heat pumps, geothermal systems, and radiant heating: the last of which is an innovative and surprisingly simple means of keeping warm. If you’re looking into replacing an existing heating system or installing an entirely new one and you want to examine alternatives to the usual model, a radiant heating system may be just what you need. It generates heat from the floor. Radiant heating systems rely on a series of tubes and reflective panels, placed beneath the floorboards of your home. They warm the room directly through your feet or furnishings by running hot water through the tubes and letting the panels transfer the heat directly. This can involve a fair amount of disruption during the initial installation, though once installed, it provides even and consistent heating. It doesn’t involve any forced air. Radiant heating doesn’t rely on a fan or blow to transfer heat through the air the way a traditional furnace does. Heat moves directly into the objects through the radiant heat in the floor, which means there are no breezes, drafts or cold spots to contend with. The system is also very quiet, and doesn’t spread dust through your home, which can be a great boon for family members suffering from allergies. It’s efficient. Because it doesn’t lose energy by using air ducts, radiant heating systems use much less energy than traditional furnaces. 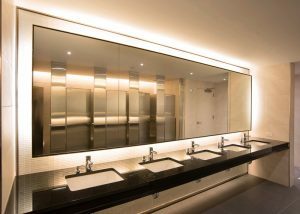 This can make a great deal of difference in your monthly budgets and over time you can save enough to offset the cost of installation. The things you should know about radiant heating will not only help you make an informed choice with a new heating system, but will prepare you for the benefits that this kind of system can provide. 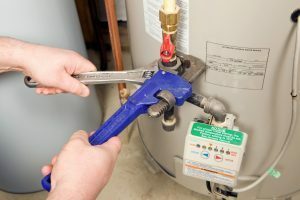 In Westwood, NJ, heating systems of this sort can be installed by the experts at BZ Dependable Plumbing & Heating, Inc. We can discuss your options with you and perform your installation quickly and effectively. Give us a call today to get started!